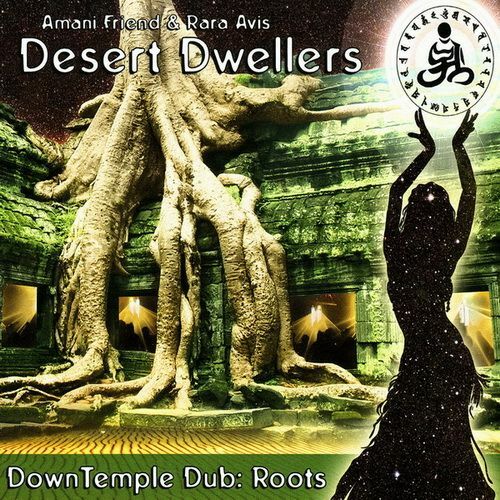 DownTemple Dub: Roots by Desert Dwellers is electronic dub and trance music with world rhythms for chillout, yoga and dance. Tracing the routes of the ancient Silk Road, Desert Dwellers lead an electro-mystic exploration of nomadic music. A caravan of sound drawing from East Asia to the Mediterranean moves through a sensual psychill soundscape, bridging the millennia and connecting cultural past to musical future. Amani Friend and Rara Avis again join forces with Craig Kohland, Treavor Moontribe and a diverse cast of talented musicians for the third installment in the DownTemple Dub series: Roots.